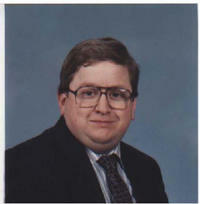 John Russo, MS, has fifteen years of experience in developing database applications in the public and private sectors. He has served as a faculty member for several area colleges and has experience as a corporate trainer. Russo, John. SQL By Example. New York, NY: Momemtun Press, 2018. Russo,John, Connors MM, Lewis BF, Baker LA. "Drug Treatment Staff Attitudes Towards AIDS and Workplace Transmission of HIV: a Survey and Follow-up." Spectrum House (1991): 297-302.